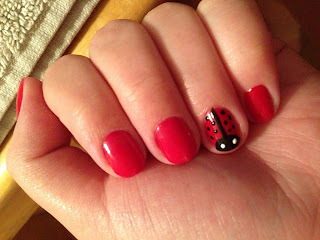 Spring is here so it's the perfect time for me to try doing ladybug nails, and sharing with all of you how I did it. This nail design was very simple to do, and I really like how they turned out. 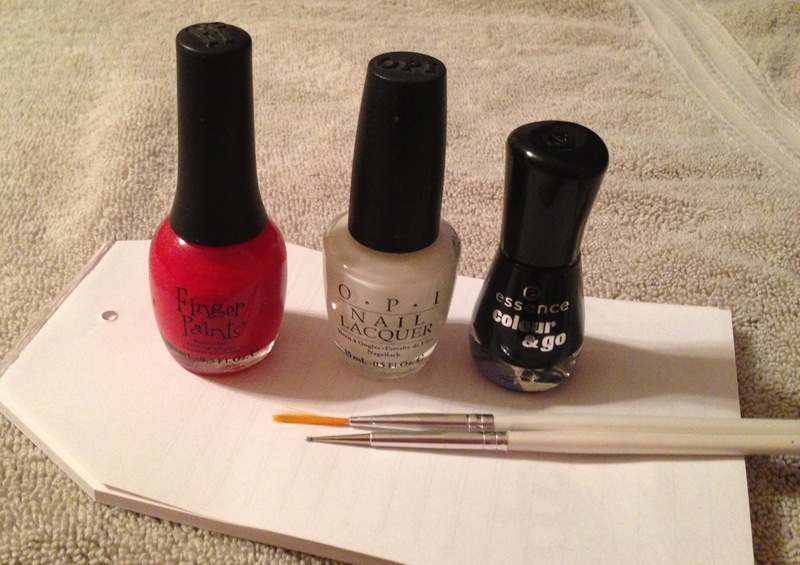 Step 1: Use your favourite base coat to protect your nails, and create a surface for the nail polish to stick to. 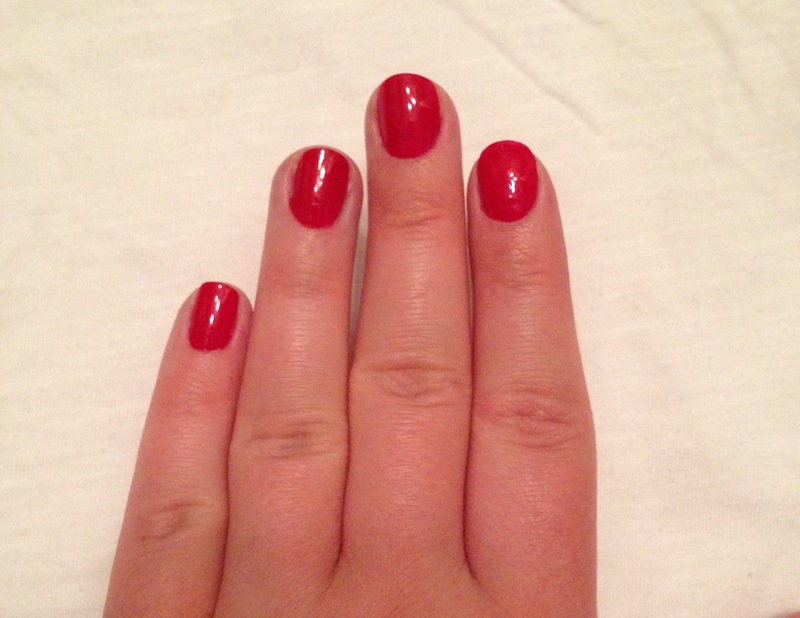 Step 2: Do 1 or 2 coats of your favourite shade of red polish, and let dry before carrying on to the next step. Step 3: Dot the black polish on a piece of paper and use a very thin brush (or tip of a tooth pick) and take your time making a black line as thin as possible down the center of your nail. Now make two curved lines on either side of the middle line, it will look like this. Step 4: Now fill in the lines on the end of your nail to make the head of the lady bug. Please refer to this video for demonstration. Step 5: Put a dot of black polish on a piece of paper and use a dotting tool or tooth pick to make little dots, please refer to the video for demonstration. Step 6: Put a dot of white polish on a piece of paper and using a dotting tool or tooth pick like the above step, put two little eyes. 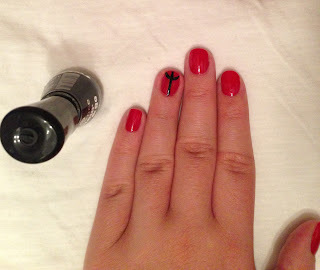 Step 7: Use your favourite top coat to seal this cute little design. Thank you so much for stopping by, feel free to ask any questions! I dont care.. I LOVE IT! It's all in the pants!